Lined nest , built on the ground close to the water. Shellfish, crabs, sea urchins, fish, insect larvae and plants. 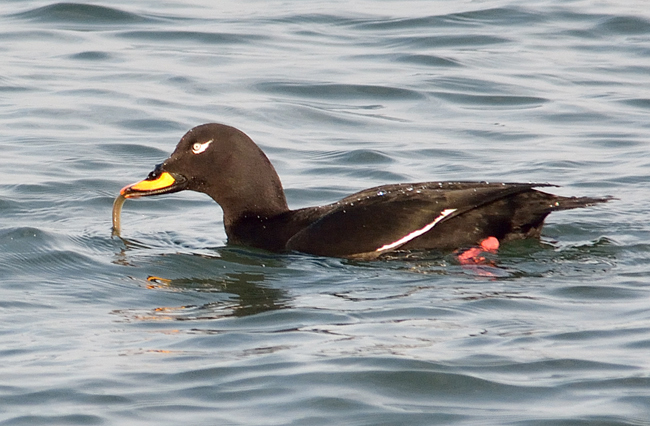 The male is all black, except for white around the eye and a white speculum. 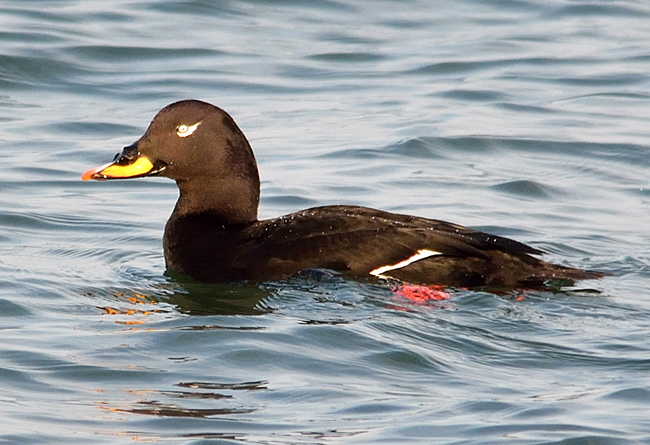 It has a bulbous yellow bill with a black base. 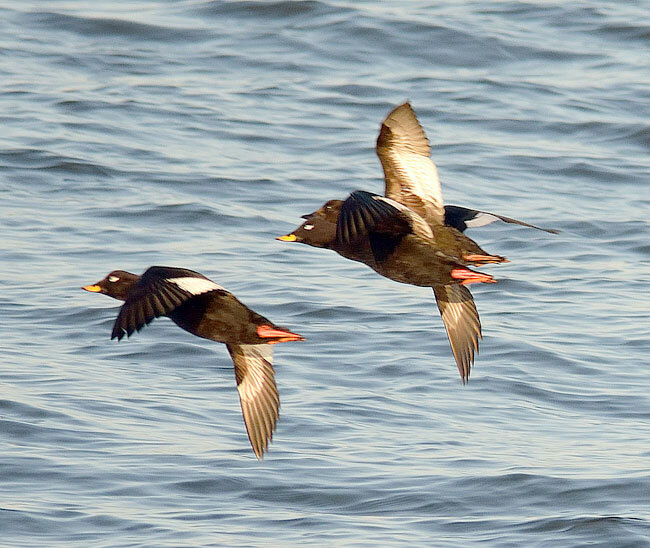 The females are brown birds with two pale patches on each side of the head and white wing patches.